At CT Pediatric Dentistry we provide a wide variety of dental treatments for kids to ensure they grow up with healthy and strong teeth. From restoration and extraction procedures to fillings, crowns and bonding we offer your children the highest quality dental care in Connecticut and make it a point to not only fix the problems but educate kids and parents on how to prevent cavities and other common tooth decay issues. Our fun and calm approach to dentistry makes our offices a welcome place for kids to learn about the importance of healthy teeth and our expert staff is trained to provide expert dental care for children of all ages. 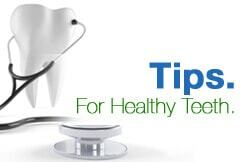 In this content section you'll find helpful articles that expand on the various procedures we offer as well as tips and advice on how to care for teeth and gums and preventative measures to help avoid painful surgery.